OMSI. Go Ahead. Geek out on science! OMSI is a great destination for some hands on learning fun. Their upcoming exhibit is the Mummies of the World exhibit, opening on June 14th. They have ongoing tours of their submarine, a state of the art planetarium, laser light shows, and the OMNIMAX theater. Tickets for these are sold separately. The rest of the museum has five halls of(over 200) different labs and exhibits. 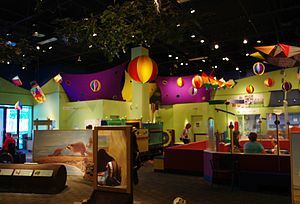 The Science Playground, The Earth Hall, The Turbine Hall, The Life Hall, and The Science Labs all exist for kids to experiment, explore, and test the world around them, in areas such as renewable energy, global climate, health and wellness, chemistry, engineering, technology, and more. OMSI has even has the forethought to add a separate room for the toddler crowd. OMSI is another one of those great places that can, and probably will, take you all day, and you STILL won’t be able to see or do everything. If you and the kids really enjoyed it, I highly suggest buying the membership pass. Then you can come back again and again! Also, you get amazing discounts on admissions to all OMSI features and exhibits, AND it’s considered a charitable donation on your taxes, to boot! Definitely worth the money! OMSI discount Sundays are the first Sunday of each month. Regular museum admission for each individual is just $2! 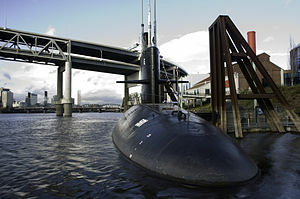 Admission for additional features such as OMNIMAX, planetarium, featured exhibits, and submarine tour, are separate, but also sold at a discount on the first Sunday discount day. 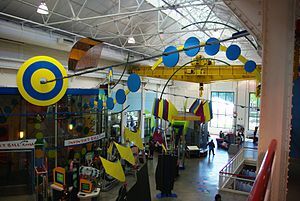 A great time to spend the day checking out all that OMSI has to offer before buying a family membership! This is also another one of those wonderful places that allow you to bring your own food and drink in. Pack in a cooler with good foods for lunch and snacks, store it in one of their lockers provided ( for an extra small fee) and save some money! Or, you can hit up their cafe if you prefer not to bring your own.